India’s ranking in the International Food Policy Research Institute’s (IFPRI’s) 2017 Global Hunger Index has invited much comment and criticism among India’s intellectual elite. India has slipped to 100 among 119 countries in the 2017 Global Hunger Index, down from 97 among the 118 countries in 2016. Fortunately, the Government of India’s National Nutrition Strategy announced in September 2017 provides the much needed comprehensive approach with a National Nutrition Mission combined with strengthening decentralised delivery. The challenge will be implementation with a focus on results, credibly monitored. Surjit Bhalla (‘Hungry for publicity’, IE, October 21) accuses the IFPRI of being hungry for publicity and of misinformed and faulty analysis, in the name of the poor. He argues that “hunger” in the title of the index is inappropriate, and the IFPRI index should be called a Malnutrition Index. He urges the need to show that India is far less hungry than critics allege and that the PM is remedying problems that are real. He also gives PM Modi more practical advice to keep critics at bay, asking to take five steps: One, restart measuring hunger in National Sample Survey Office (NSSO) surveys: International organisations will find that difficult to ignore. As an aside, Nobel laureate Angus Deaton has lamented the declining quality of national household surveys in India observed by well-known Indian scholars such as Minhas. Two, revise Indian calorie norms (downwards?) in view of widespread mechanisation and urge world bodies to follow suit. FAO’s norms are already substantially lower than Indian Council of Medical Research-National Institute of Nutrition (ICMRNIN) norms. Indian norms of 2,400 kcal per-person per-day for rural and 2,100 kcal per-person per-day for urban areas imply a much higher incidence of undernourishment (Chand and Jumrani 2013). His third, more cynical, advice is “combat critics spinning data with counter-spin. Spin your own emphasis on gender equality to say it also attacks maternal mortality and child stunting.” Four, spin the Swachh Bharat scheme to boast that, as the first politician to aim for an open-defecation-free India, the PM targets not just cleanliness but malnutrition. And finally, implement the Food Security Act’s promised cash benefit to pregnant and lactating women. Here are some “facts” to consider generating an informed debate. The World Bank says the poverty rate in India is 21.2 per cent. That rate is similar to the Gallup hunger estimates, which Bhalla likes, of 22.4 per cent. The malnutrition rate (stunting among children below five years) is 38.4 per cent according to the latest National Family Health Survey (NFHS 4) — there are 47.5 million stunted children in India out of 154.8 million globally. This is because of poor diet, poor healthcare and poor sanitation. Sanitation improvement is key, but so too are improving diets, and we know that especially for very young children (6-23 months), diets (meaning actual food intake) are terrible, but only about one in 10 meet diet adequacy (NFHS 4). A recent paper by Srivastava and Chand (2017) based on household level Consumer Survey Data of NSSO covering several years (1993-94, 2004-05, 2009-10 and 2011-12), suggests that the decline in calorie consumption noted in several earlier studies was reversed in 2011-12. More importantly, the paper found the disparity in calorie consumption among income classes in rural and urban areas declined and that access to PDS had a greater impact in explaining the increase in calorie consumption per rupee compared to cash transfers, a smaller portion of which was spent on calories. They suggest a need for more such research on increasing the efficiency of public distribution, or to consider conditional cash transfers than to discard them as tools if the objective is to increase food consumption rather than simply cash transfers as a means of income transfer. The Srivastava-Chand study’s (2017) results are at odds with the IFPRI study on pulses which suggests increased access to pulses through public distribution had only a marginal impact on households’ pulse consumption. To summarise, nutrition is a challenge full of complexity. 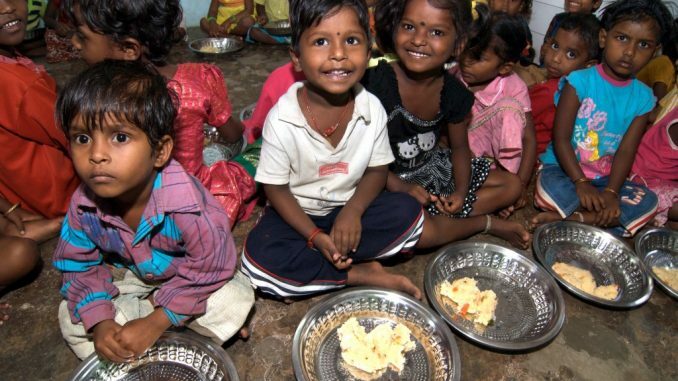 There is plenty of evidence globally and in India suggesting that poor nutrition affects early childhood development, learning and earning potential with life-cycle effects on national health and economic growth. For an emerging country with one of the fastest economic growth rates, India needs to implement its announced strategy with a focus on evidence, results and learning, not just spin. That calls for a true commitment at the level of the states and communities with a focus on improved outcomes for the poor and accountability for those in governance, and the solutions need to go far beyond the expansion of sanitation, important as that is. The writer is former senior advisor, World Bank and a recent winner of the M.S. Swaminathan Award.